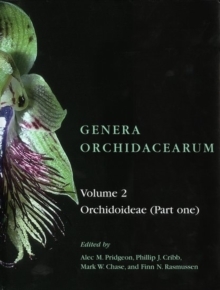 The Genera Orchidacearum series represents a robust and natural classification of the orchids, something that has eluded plant scientists and orchid enthusiasts for years. 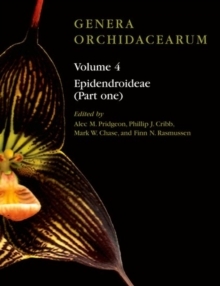 The editors, who are all distinguished orchid specialists, incorporate a wealth of new DNA data into a truly phylogenetic classification, identifying the areas and taxa that merit additional work. To this end, they have invited several international specialists to contribute in their particular areas of expertise. 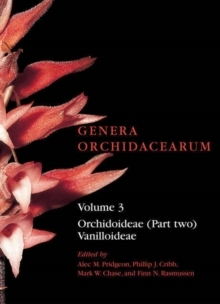 Each volume provides comprehensive coverage of one or two orchid subfamilies and the series as a whole will be an indispensable reference tool for scientists, orchid breeders and growers. 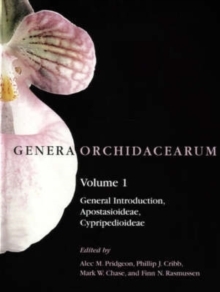 Orchidaceae is the largest monocotyledon family and perhaps the largest plant family in terms of number of species, approximately 25,000. However, for a variety of reasons it remains one of the least understood. The fossil record is poor, and active research has been relatively scarce until recent years, in part because of the sheer size and cosmopolitan distribution of the family. 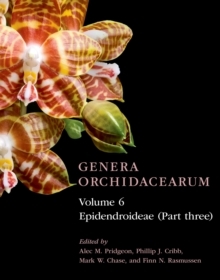 This fourth volume treats the first 210 genera of the largest subfamily, Epidendroideae, including some of the showiest orchids often used in hybridizing. Comprehensive treatments are provided for each genus, which include complete nomenclature, description, distribution (with map), anatomy, palynology, cytogenetics, phytochemistry, phylogenetics, pollination, ecology, and economic uses. Cultivation notes are included for those genera known to be in hobbyist collections. Genera are beautifullyillustrated with line drawings and colour photographs.